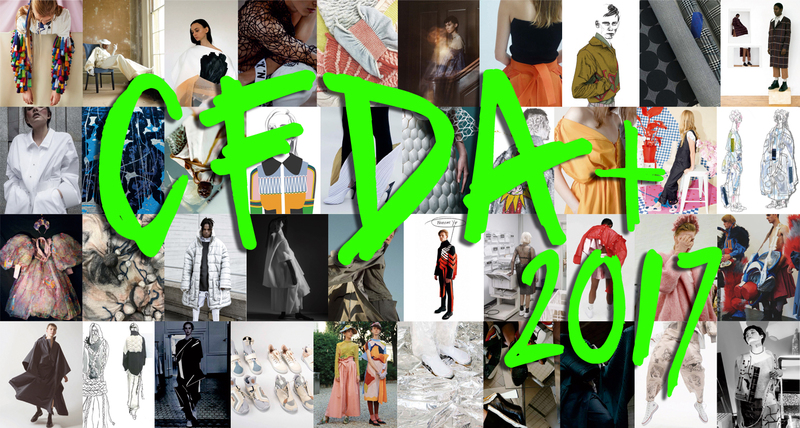 Last part of the post about CFDA+ 2017, to meet all the young fashion designers selected from the major fashion schools of the world. A unique platform that showcases all the best graduate collections of the young fashion students coming from all around the world. This is CFDA+, a virtual place where to meet global design talents and to know their point of view and strong imagination. CFDA+ 2017 selected 41 graduate collections among thousands on candidates, giving the possibility to the best designers to be under the spotlights of mass media. An exclusive occasion to see all together projects and visions, to hear the designer's opinion and to open a window in what will be the future of fashion. Innovation, sustainability, uniqueness, hope and diversity are the keywords to understand how is changing the world of fashion design. Is not a case that the title of this edition is "The power of WE". These new talents have precise ideas about their job and the future they want. In their interviews, made to select the best creative visions, emerged clear lines. 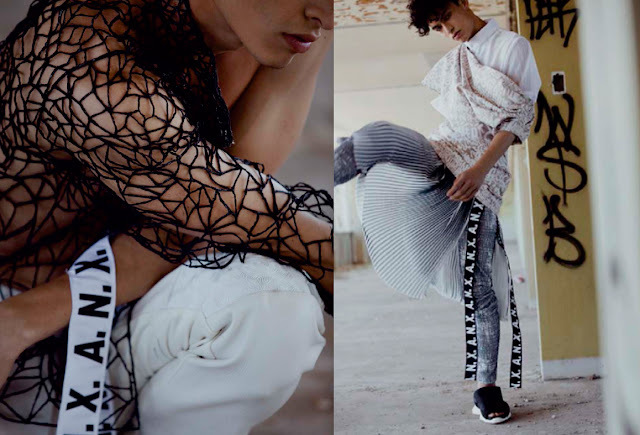 They want to celebrate culture and differences, create clothes that fit comfortable and are not only aesthetic impositions, they desire a new relationship between man, technology and environment, for a more sustainable design process and low-impact production, always emphasizing the quality and the artisanal techniques. They also want to break the rules and look the world through another perspective. Their own. In the previous two post (that you can find here and here), we met part of them. Now let's know the last designers selected by CFDA+ 2017. The Royal College of Art, founded in 1837, is the unique school in the world with post-degree courses that gives to its students an advanced preparation about everything concerns the world of art and design, with a particular focus on the translation of the personal creativity of each student into real design products, without forgetting the essential cultural and historical background. From this school comes CATRIONA PRINGLE (MA Womenswear Fashion Design and Knitwear), who expands the boundaries of traditional knitwear through a deep reasearch about shapes, colors and unconventional techniques. NAEUN KIM (BFA Fashion Design Universal and Menswear) loves to tell stories through fashion and her collection is a fascinating trip into the childhood memories, with male garments transformed by details, such as the pockets, which become the distinctive elements of the wardrobe. NIKKI KAIA LEE (BFA Fashion Design and Fibers), starting from the study of fibers and fabrics, she want to redesign the entire productive process to be closer with environment and human real nature. SAMUEL OWEN TICK (BFA Accessory Design) creates a genderless footwear collection based on the way of life of shinobi, the japanese ninja, focusing in particular on comfort and confidence of use. ZIMO YAN (MA Fashion Design and Textile) uses innovative ways to create fabrics for a highly-futuristic collection in which interactive garments can be controlled by sensors, emotions and movements. Defined the most influential art college in the USA, the School of Art Institute of Chicago has an important historical background and provides to translate the vivid imagination of its students into tangible forms through interdisciplinary experiences and an artistic and theoretical approach. From this school comes GABRIELA SACCONI (BFA Fashion Design Universal), who creates a graduate collection that considered fabrics and clothes as vehicles of social and cultural meanings, with multiple layers and handcrafted techniques. A great center of excellence in Australia, the Ultimo Tafe Sidney Institute of Fashion, established in 1955, is an innovative school that provides on-the-job and online courses, preparing its students to a brilliant career in fashion and costume design and producing a high number of well-known and famous fashion designers. Among its students was selected ANN XIAO (BFA Fashion Design Universal), who creates a unisex collection unifying technology and sustainability through the use of 3-D and digital printing and zero-waste tailoring techniques. Founded in 1819, the University of Cincinnati is one of the most ancient university in Usa, but innovation and technology really drive its educational programs, especially in fashion design, in which the courses are focused on technical skills and product strategy. SHELY WAULIGMAN (BS Fashion Design Universal) was selected for her way to rethink design process and fashion products using discarded objects, giving them another life and telling new stories. 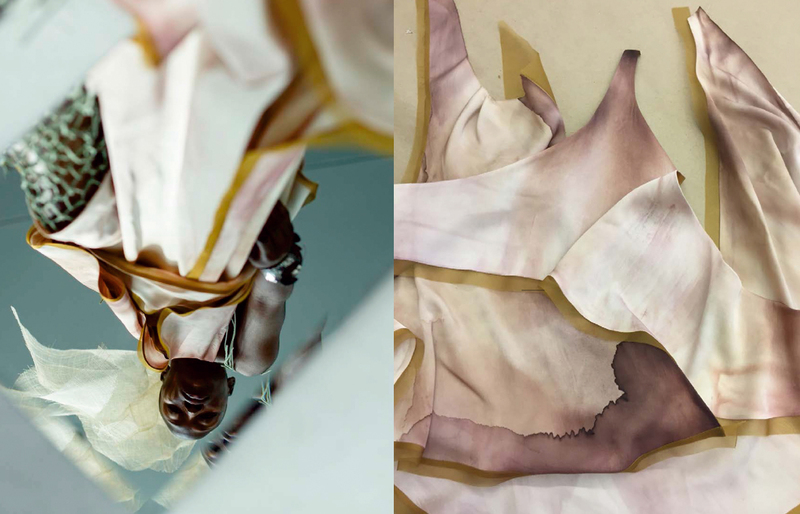 CHLOE SCOTT (BA Hons Fashion Design Menswear) for her graduate collection was inspired by Cecil Beaton's self-portraits and their obscure and sophisticated athmospheres, translated into refined fabrics, unedited details and tasteful shapes that doesn't hidden a bit of sense of humor and irony. IAN RICHARDSON (BA Hons Fashion Design Womenswear and Accessories) doesn't want to take fashion too seriously and with his graduate collection transforms household objects into clothes that celebrate mondanity and a joyful lifestyle. JASPER MCGILVRAY (BA Hons Fashion Design Menswear) proposes his extravagant vision of a menswear that winks to the contrast between femininity and masculinity, to sportswear and pub culture, in a flamboyant style that leave a lively impression. 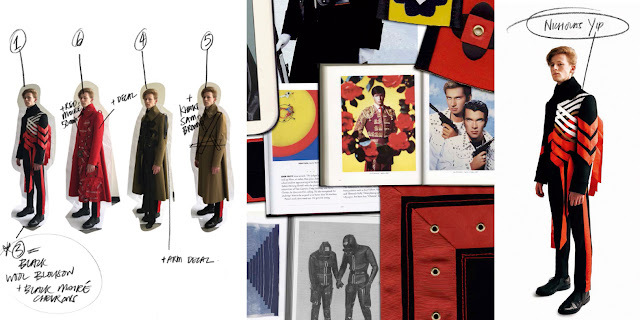 NICHOLAS YIP (BA Hons Fashion Design Menswear) believes that fashion design gives the opportunity to redefine the rules and tradition of men's aesthetics, in particular in the definition of identity of classic male pieces and military clothing. This journey to discover new talents from CFDA+ platform is just finishe, but I'll wait you soon with other fashion stories! WELCOME! 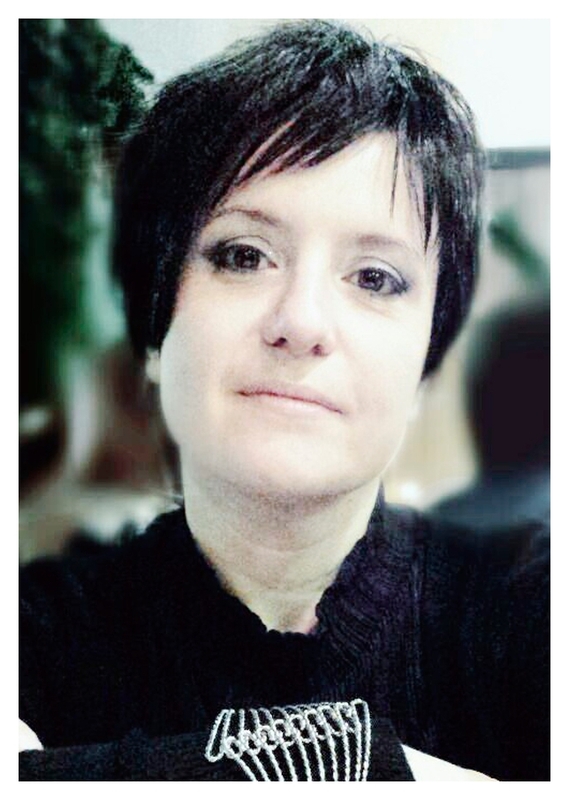 My name is Elisa Gibaldi,I'm a free-lance fashion designer, illustrator, teacher and blogger. 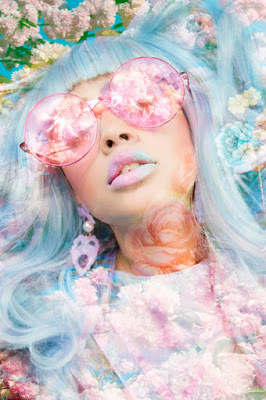 Truly passionate of Avant-garde fashion, interested to young designers ideas and all is new in this fantastic world.